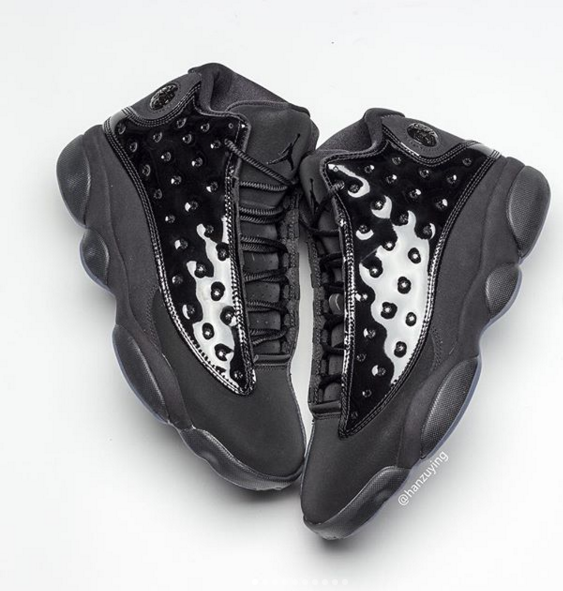 Our best look yet at the upcoming "Cap & Gown" Air Jordan 13. Jordan Brand will be releasing yet another "Cap & Gown" sneaker this Spring, following up on the special edition Air Jordan 11 that released last May. 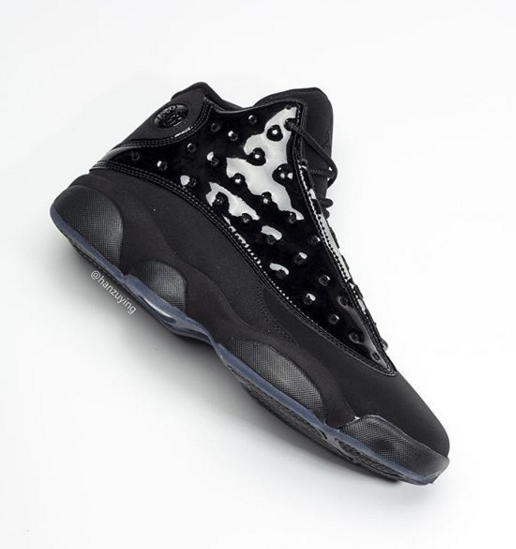 This time around, the all-black "Cap & Gown" colorway has been applied to the Air Jordan 13 silhouette. 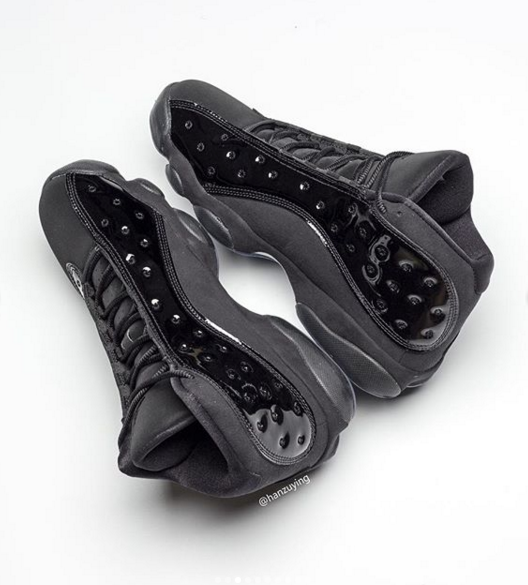 The celebratory Air Jordan 13s will now be available on April 27, several weeks earlier than the rumored May 18 release date. The kicks, priced at $200, feature a glossy, black patent leather overlay atop the black nubuck upper. 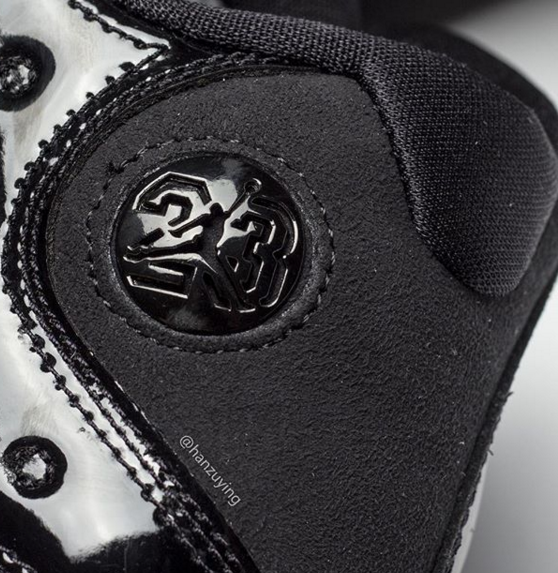 Additionally, the hologram "cat eye" located on the outer ankle has been swapped out in favor of a black 23 Jumpman logo. Nike has not yet unleashed official images of the "Cap & Gown" 13s but sneaker source @HanZuYing has provided new, detailed images that give us a great idea of what to expect when they hit retailers next month. Check out the latest batch of photos below.